The shoulder press is one of the classics when it comes to strength training. And like most of the classics, it’s been tweaked and varied over the years. Sometimes, people refer to it as the ‘military shoulder press’. But this is not the same exercise, technically. 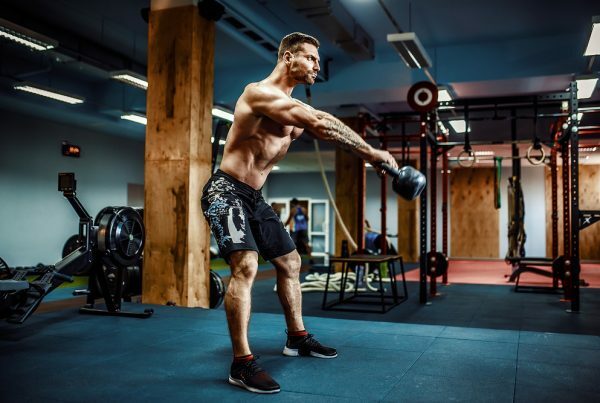 The military version requires both feet to be right next to each other, whereas the traditional overhead shoulder press is best executed with feet around shoulder width apart. I prefer the traditional. We’ll get into the form below, step-by-step. Basically, all of that equates to a back that’s sculpted out of lean muscle and shoulders that look as strong as they feel (and actually are). The strength benefits even boost your performance in the other king of classic workouts – the bench press. You might not have the structural integrity to handle an overhead weight correctly. Some people struggle due to tight pecs (chest) and lats (‘wings’), which can restrict your upward mobility. So, it’s best to follow the below instructions without any kind of weight (just imagine the barbell). If you notice any discomfort or general difficulty in getting the movement right, then that’s a clear sign you cannot attempt a weighted press, at least before correcting what is causing your struggle. I always recommend clients with struggling here to try working on mobility exercises like wall extensions and doorway stretches. It’s important to be honest with yourself at all times when handling a free weight. If you have any kind of back or heart condition – I strongly advise you do not attempt this lift. 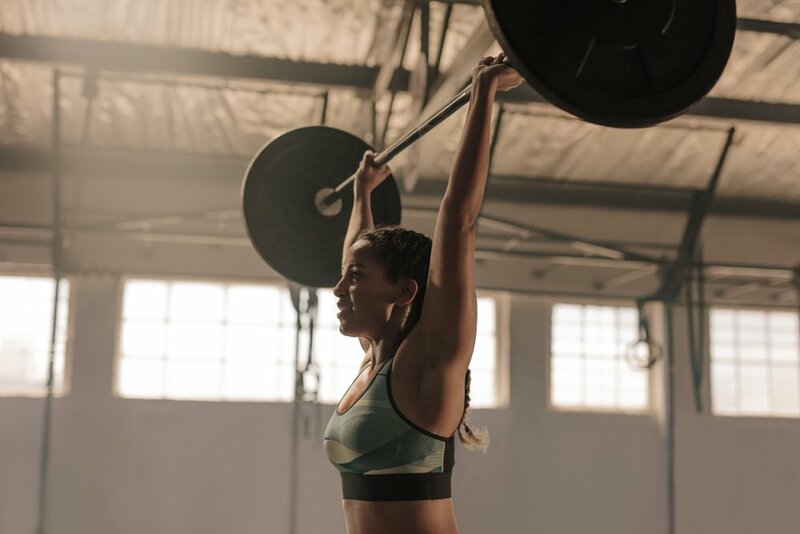 Even if you do not suffer from any noticeable conditions or illnesses, it’s still recommended that you consult a physician before weight training for the first time. The following guide focuses purely on a standing shoulder press. You can perform the exercise while sitting but the standing variation requires more of your stabiliser muscles to engage – it’s for that reason why I personally prefer to stand. — Note: You can use an Olympic rack to get underneath the bar without having to clean it from the floor. Skip to part 3 if you’re lifting out of a rack. When lifting the bar in the first place, it’s important to do this safely. 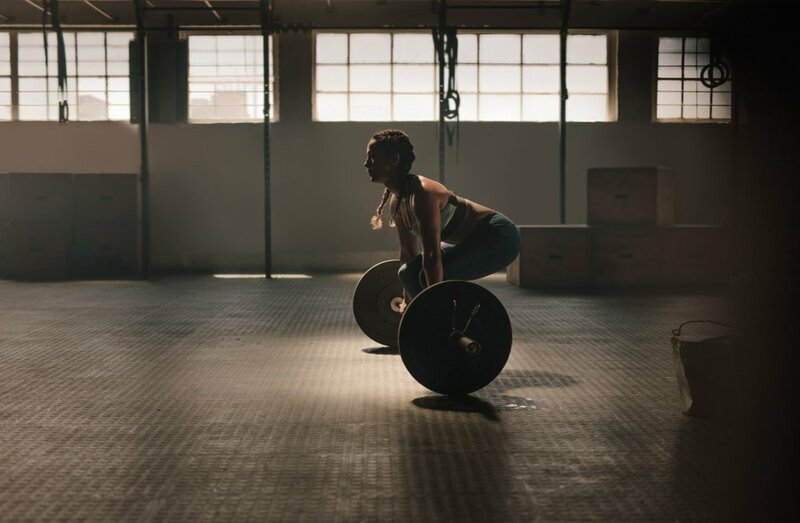 And there’s no safer way to do it than to use the perfect deadlifting form. Click the link for the detailed version of how to do this. Walk up to the bar on the floor and, at shoulder-width apart, edge your feet underneath the bar until the metal splits them in half. Keeping your core braced and your spine straight, sit back into a squatting position and grasp the bar. Now drive your knees forward and raise the bar to your knees – keeping your spine at the 45 degree angle created by the squatting position. Now drive your hips forward and straighten-up the spine to bring the bar in-line with your hips. Next-up – you need to use your forearms to lift the bar from your hips up to your shoulders, so you can get your hands underneath the bar. AT THE SAME TIME, you need to sit back into a squat position to support the weight. Then you can rise up from the squat with the bar rested on your upper chest- ready to perform the overhead press. Either you’ve followed the steps from the floor our you’re approaching a racked bar. If you’re racked you should step into the rack witht he bar just in line with the center of youre chest – allowing you to dip in standup and easily exit the rack without clipping the rack. With the bar now sitting comfortably in your hands and on your chest, you have a chance to set your stance. Is the bar resting at the base of your neck, under your chin? Are your stomach and other core muscles braced? Is your spine neutral and straight? Are your feet shoulder width apart (just outside shoulder width is fine)? Are your forearms vertically in-line with your wrists? Have you gripped the bar just outside shoulder-width apart? Do you have a point in the room, about six feet in front of you, to focus your eyes on throughout the workout? To initiate the press, keep your torso locked tight as you squeeze your glutes (bum cheeks). Now use your back and shoulders to shift the bar upwards. As the bar threatens to hit your nose, it’s okay to tip the head back a little and get out of the way. As you enter the top of the lift and press towards the ceiling – you want to lock out the triceps and fully extend both arms. It can be helpful to think about pushing your armpits out here. At this stage, you can reset your head in its original position – effectively ducking through the space created between the bar and your arms. The simplest way to approach this is to reverse Step #3. Take it slow as you lower the bar back down, slip your head out of the way and bring the weight back into the final comfortable position from Step #2. 7. Exiting the workout – either re-rack the weight or reverse steps 2 – 1. It’s much easier using a rack which is why we recommend it. A lot of people think the shoulder press is all in the shoulders (which is understandable given the name). But it actually relies on your overall structural integrity. Basically, if you don’t have the foundations in place to press a heavy weight above your head, then you want to do the groundwork first. I recommend a combination of mobility exercises and basic functional strength training. You can film yourself to examine your form (best recording from side-on) or simply get an honest spotting partner. As always – resist the urge to go STRONGMAN from the beginning. Progress through the weights in stages. And if you’re a total beginner – start practicing the form with an empty bar, foam bar, or no bar at all. We want to build the neurological pattern to ensure you’d building a method that will last you a lifetime. All questions and suggestions on the shoulder press are welcome in the comments below. I’d love to get your thoughts.